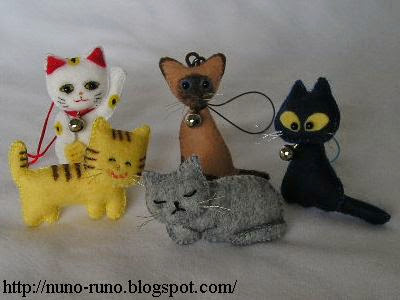 Tiny and flat felt cats. 5 centimeters. They can't stand. 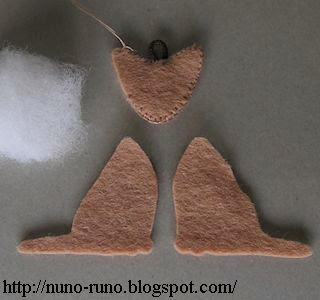 Cut felt each 2 pieces without seam allowance. 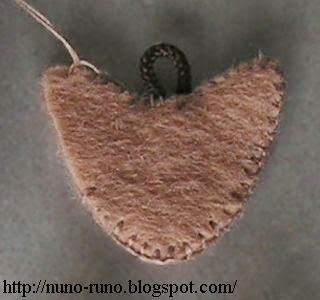 Sew around with blanket stitch. Put polyester fiberfill a little in it. If you need, paint it with a pen for cloth. 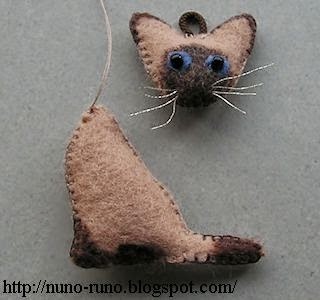 Glue eyes of felt, and stitch beads. The strap is ready-made goods. You may stitch or paint the features. 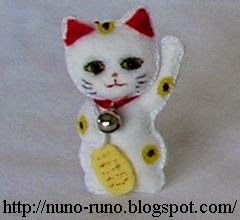 Manekineko is traditional lucky charm in Japan. Thank you very much for sharing your patterns! Oh My. I mean...wow. I love these so, SO much! 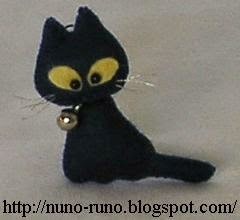 It's going to take all my willpower to finish up email tonight and not run off to sew tiny versions of my own kitties. But I know what I'll be doing Saturday. =) Thank you SOOO much, I'm so excited about these. And I'll be linking as well. These are some pretty darn cute kitties! I would love to make some of these! It is certainly interesting for me to read the post. Thanx for it. I like such topics and anything connected to this matter. I definitely want to read more on that blog soon. I made three kitties from your delightful pattern. All I changed was to give them a little base at the bottom so they could stand by themselves. Way cute designs you made! Thank You for sharing and I will be making some to give away on gifts this Christmas! How can anybody not love a mini cat like these!? You are wonderful to share these! Have a Merry Christmas! These are soooo cute!! 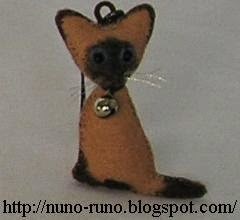 I love the Siamese cat, very sweet! Thanks for sharing. Un mimo los gatitos. Gracias!! 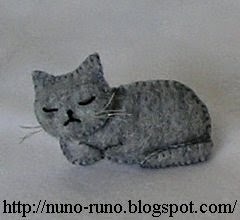 Thank you for the wonderful pattern, I have made one of these cats to look like my little grey manx Toby. The picture I have taken of it is here: http://www.flickr.com/photos/mjholland/8310343400/. I used the template and made the sleeping one so far. 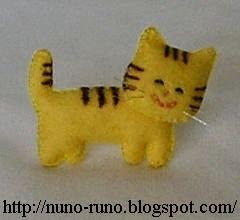 Thank you for these patterns.I love the beige cat, who looks so much like mine.